anyway after stepping away from the car scene for a bit, it's time to get reactivated. long time ago, i bought a '04 wrx sedan, and had a few cars since then. bought another one recently, this time an '03. the plan is to make it a weekend track car, but with street registration so it can still be driven around to get worked on (i don't have a trailer!). bought this car pretty cheap - that way should anything go wrong while racing *touch wood* it won't be such a big deal. 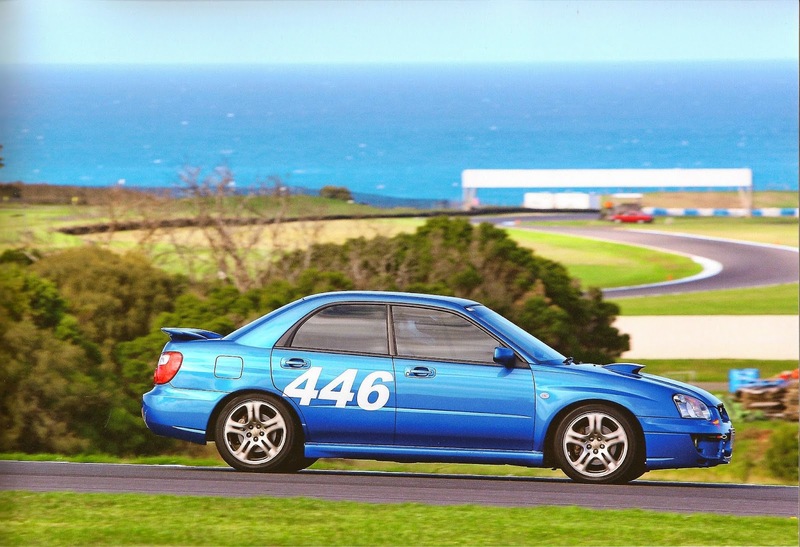 first track day: philip island april 2014. pretty standard, just changed to dot5.1 brake fluid a few days before. the plan is to reduce weight and increase handling/stopping capability, rather than adding power. next track day should be winton raceway mid-may.